Anyone in the crowd can come up and fight. These are REAL girls, not models or skilled fighters. The fighting is wild, reckless and completely real. When the girls fight, all rules are off. Kicking is not only allowed, it is encouraged. That's why they have to remove their shoes. 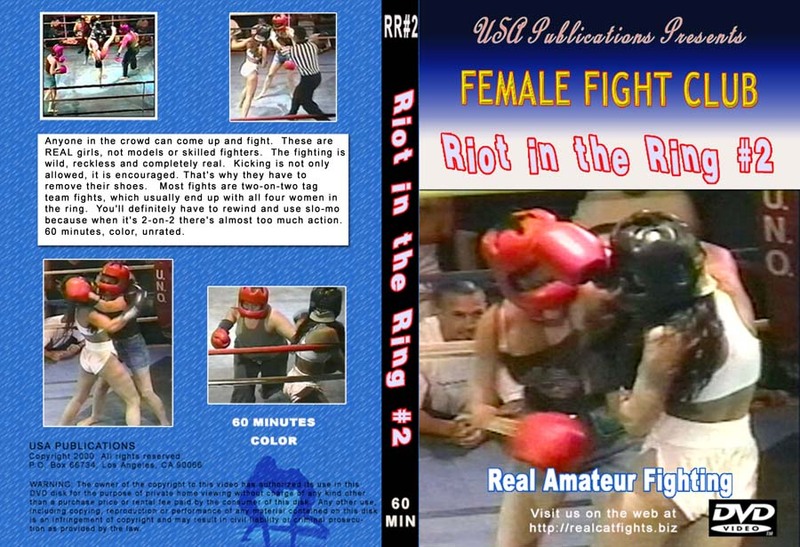 Most fights are two-on-two tag team fights, which usually end up with all four women in the ring. You'll definitely have to rewind and use slo-mo because when it's 2-on-2 there's almost too much action. 1 hour video.